eBookMySeat offers online bus ticket booking service across India. Ebookmyseat is a smart and easy bus ticket booking portal. It offers online bus ticket reservation services to various cities includes Delhi, Noida, Haridwar, Dharmshala, Darbhanga, Shimla, Manali, Nainital, Jaipur, Rajasthan, Katra, Jammu Kashmir, Lucknow, Muzzaffarpur, Agra, Panipat, Haldwani, Ajmer, Dehradun and more places in North India. It has various top bus routes with 10+ bus operators who are responsible and take care of timely and hassle free journey to your destination. Ebookmyseat has very convenient booking process to make user friendly experience of customers. Our technology helps customer’s book bus tickets online among all famous destinations across India in just few simple clicks. Customer can find a wide range of filters which enable them choose “Bus operators, Type of Bus (A/C, Non A/C, Sleeper, Semi sleeper and Volvo), Ticket Fares, Boarding Points, Dropping Points, Facilities etc”. It also provides SMS facility to the customers, you will get the SMS with all the required detail for journey after booking the ticket on ebookmyseat. It has great payment options such as paytm, netbanking, debit card, credit card etc. Ebookmyseat ensures the safe and secure payment methods. 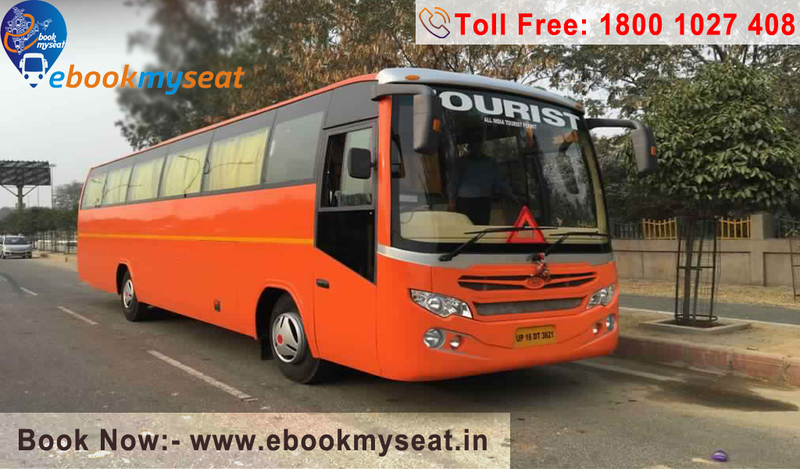 You can also avail the benefits of various offers and discounts time to time by booking bus seat in ebookmyseat. We also provide 24*7 customer assistance for any query, information and detail of journey.